After reading several sources about the fabled warrior Cú Chulainn, I need to ask–was he really the quintessential Gaelic hero? Or was he, as Irish playwright Samuel Beckett famously described him, “the . . . patron saint of pure ignorance and crass violence”? First, let’s get his tongue-twisting name straightened out. In the Irish Gaelic tongue, his name (a bit simplified) would be roughly coo HOO lun where the “ch” sound is similar to the Germanic “ch” sound, as in ach. Every age, every culture needs its larger-than-life heroes. If Cú Chulainn did not exist, he would have to be invented to fill a human need. 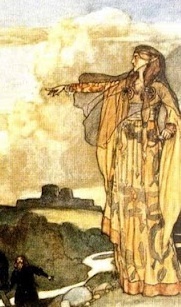 Just so, the filí--the bards–of ancient Ireland needed to sing the exploits of a young man who was beloved of women, admired by warriors, respected by enemies, and indomitable in battle. 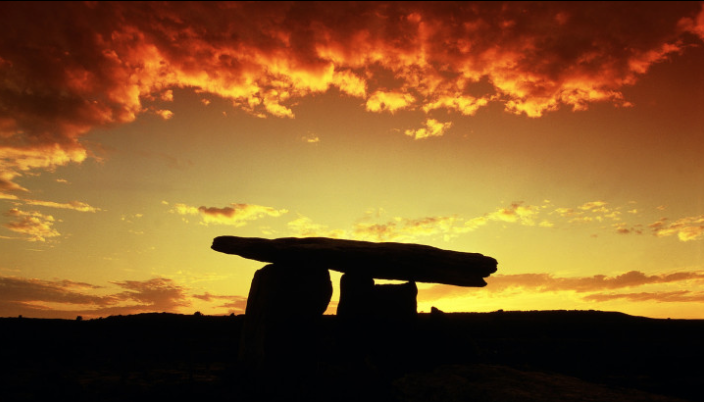 In short, he was a man who represented all that the beautiful, wild land of Éire was to its people. 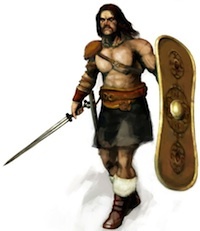 Legends about Cú Chulainn abound from about the end of the iron age, just about the time when Caesar was riding roughshod over Celtic territory. Perhaps there is a link between the hero and the conquerer here, but history is silent. Because Caesar’s exploits took place in Gaul, and our warrior was centered in Ireland, there may be no more connection than a universal knowledge of the hero Achilles in the ancient Homeric epic, or that deep-seated need for a people to extol a national hero. Cú Chulainn was not born with that name. Legend has it that he was the son of a god and a mortal woman. He was named Sétanta, roughly sha DAN tuh in Gaelic. Although still a stripling, his aspect was so striking and his talents so amazing that he was pressured into seeking a wife. His fancy was for beautiful Emer–but she taunted him with the fact that he was still a boy and sent him off to learn to be a warrior. So learn he did. 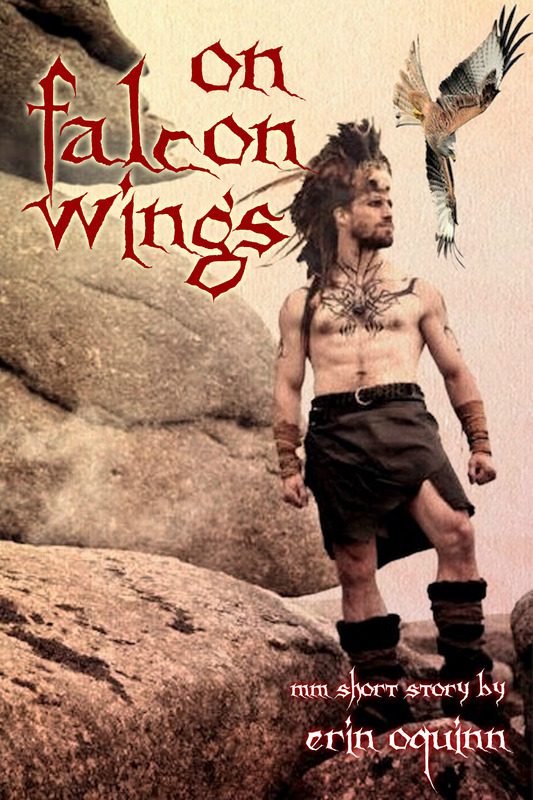 He studied under a famous female warrior whom he not only bedded, but he sired a son by her daughter! He later married Emer, who became devoted to him. Cú Chulainn was definitely attractive to the ladies. But women would prove to be his undoing. Again at a tender age, he attended a feast at the home of one named Culann, a sidhe smith who owned a huge wolfhound. As the legends have it, the dog attacked Sétanta, who killed the beast in self-defense. Feeling bad about killing the dog, the hero offered to stay until another guard dog could be trained. 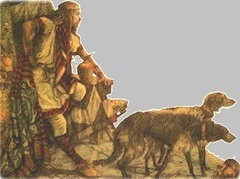 From that time onward, he bore the name “Cú” meaning whelp or young dog, and “Chulainn,” a form of Culann–The Hound of Culann. Even such a warrior as Cú Chulainn would be just another legend if it were not for Queen Maeve and the famous Cattle Raid of Cooley. The mortal warriors of Ulster, true to a curse uttered by the goddess Macha, were rendered impotent for battle when Maeve’s army attacked. So our divine-born hero, unaffected by the curse, took them on single-handedly. The standard of battle in legends was that one warrior could challenge another on behalf of whole armies. And so Cú Chulainn, greater than any warrior of the time, easily conquered any that Queen Maeve could send. Finally she was forced to make a bargain with him to end the bloodshed. One of the most enduring aspects of Cú Chulainn was the “battle frenzy” or ríastrad, that seized him while fighting. 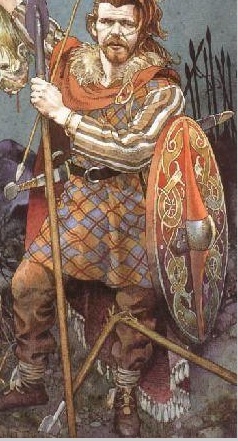 Similar to the berserker aspect of the later Vikings, many a legend and picture of him shows him in full “warp spasm,” a term coined by the translator Thomas Kinsella. 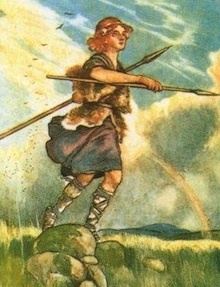 Cú Chulainn died as violently as he had lived. Having angered the powerful Queen Maeve, he was cursed by her sending against him the deadly triple aspect of Goddesses called the Morrigan. 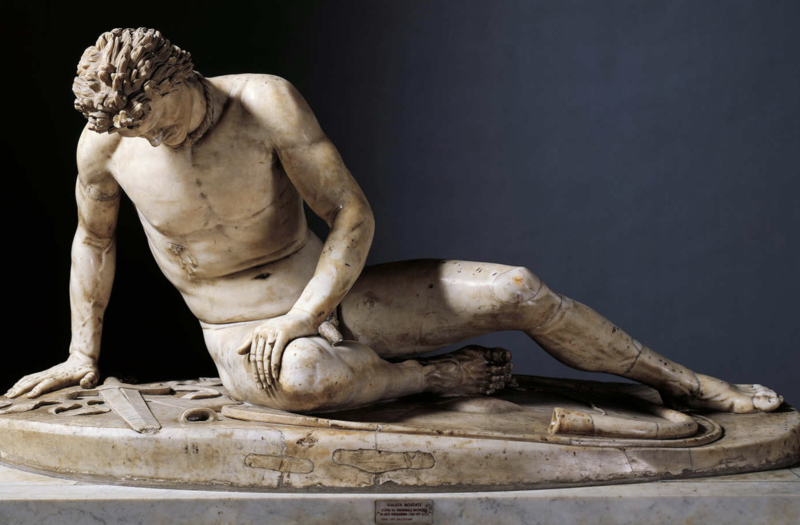 To make a short tale of a brutal and bloody end, he was pierced by his own spears. He dragged himself to a standing stone and lashed himself there in order to remain standing. Most renditions of his death–including a famous statue in the General Post Office of Dublin–show him bound to the stone with a raven perched on his shoulder as a symbol of death. 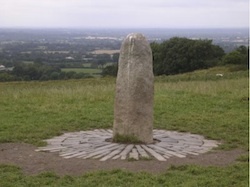 There is even a rock in Co. Louth fabled to be the stone he died upon. 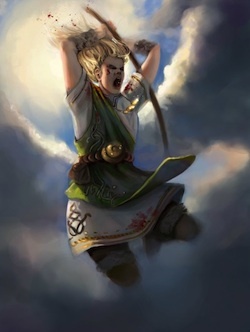 As for my initial question–whether Cú Chulainn is a true hero or a symbol of all that is ignorant and brutal–I shall leave that for others to decide. If he is crass and ignorant, so then are the indomitable heroes of the Iliad, and mighty Beowulf, and for that matter the Biblical David and scores of other heroes who made their bones not by their intellects or moral fiber, but by their mighty deeds. 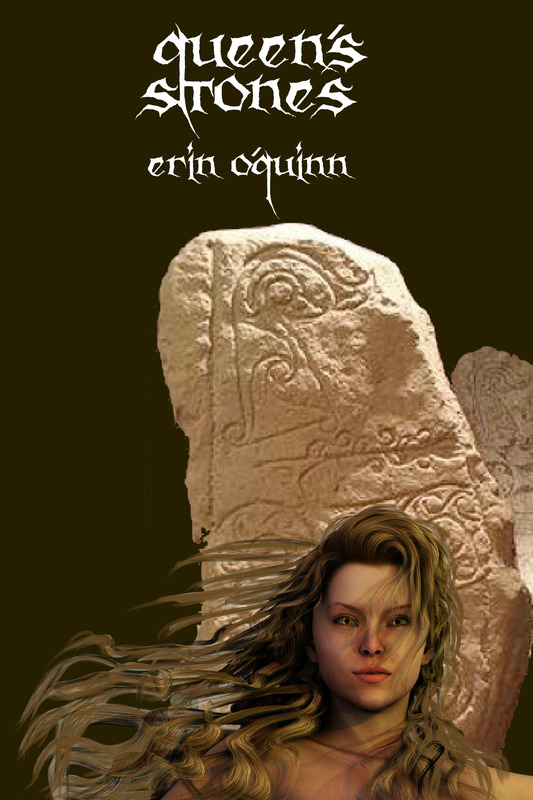 Erin O’Quinn’s romance-adventure novels are set in fifth-century Ireland, when deeds of old would soon give way to the godspels of the New Testament as spread by tonsured priests and the famous bishop Patrick. But those old ways have died hard—if at all! very interesting piece of work. About your question…would a hero warned about the torments of hell? Perhaps? the story goes that after he died, he come back to warned someone about the torments of hell… I was just wondering, wouldn’t a true hero be in heaven instead of hell? 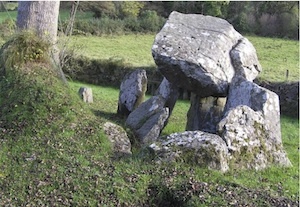 the Tain was hacked up and rewritten by the early christrian monks that got hold of the old oral traditions, they stuck in extra bits to fit in with their christrian sympathies, they did the same to the tales of the fianna too. Basically the idea was to take the pre existing celtic culture and stories and makle them your own by combining them with the new faith. So they take a hero like Cú Chulainn or Oisin and stick their oar in. Thus you have some pants story about Cú Chulainn appearing in King Laoire’s chariot warning him to change from the old ways or end up in hell with the gaelic heroes of old, or the more famous additions to the Tir na Nog story where Oisin decides it would be a great idea to convert to the new proper christian faith before he dies so he won’t end up in pagan hell etc etc. DS, I often see such “Christianization” in the old tales. The monks tried to cement their beliefs into every crevice, and such oddities stick out to us now like injured thumbs. It is even said that Loeghaire himself attended the Council of 9 where the participants de-paganized the very Brehon law that had kept Ireland strong for several centuries. And Loeghare (modern “Leary”) was a devout pagan! But such efforts are to be expected. If St. Patrick and his monks had not re-created Ireland and its folklore, it would have taken the country centuries to rise from the mists of the dark ages, instead of being the wellspring of new learning that re-spread back to Europe after the brutal invasions. Good post. Thanks for stopping by. Well, Elena, we might as well ask whether any of the great pre-Christian heroes are in heaven. 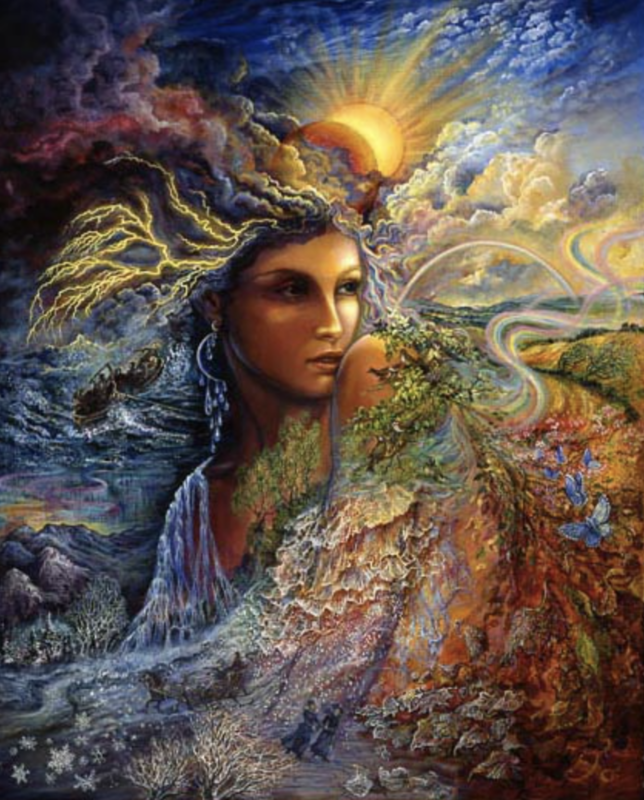 I think that the Norse heroes would rather stay in Valhalla, and the Greek warriors would rather roam the Elysian Fields…but aren’t all of these places a version of “heaven”? I can’t answer your question without sounding like a pagan (which I am). Maybe you need to ask yourself: does it sound reasonable that Cú would be coming from heaven considering the thousands he supposedly slew? He’d be pretty iffy in the eyes of St. Pete at the gate. Heroes are defined by their times. Violent times call for warrior heroes. They have to be strong and fight for what they perceive as right. Sometimes, their methods are violent and brutal. My most recent release, PIRATE WOMAN, http://www.redrosepublishing.com, deals with an Irish heroine who added to her own profit while protecting her people. She at times was violent but she did what she had to in order to ensure her family’s survival and that of her clan. Thanks for the different angle, Viola. Cú really does remind me a bit of the young David who slew Goliath. Violent times, indeed! Not only was he not reviled by the people, he became almost a folk hero and (as Elena pointed out above) a favorite of God too. I’m happy to see that you also have chosen Ireland as the setting for your book. The enchantment of that land is unending–brutal times or no. Thank you Kemberlee! You can probably appreciate that I had to keep my blog brief yet still interesting. There are many off-shoots of this famous warrior’s life and death; but I hope my outline is still essentially “accurate,” if details of a many-branched legend can be said to be accurate. The stories about his love life alone would fill a few blogs, not to mention the different versions of his death. 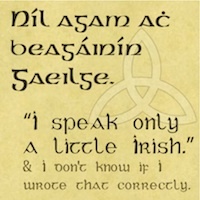 You are so steeped in all things Celtic (Welsh, Irish et al.) that I think you need to start a blogsite. I would certainly be a frequent visitor!! I feed off your spirit, lass, and I thank ye kindly for all your insights. From Paul, a language expert (last I heard, he can speak about 17 different languages). Yes, there are a few tales going around, thanks to fables and legends being spread orally before they were written down. Everyone embellishes to make the story grander than it really was 😉 And just by Cú Chulainn’s very nature, he would have attracted all kinds of female attention. Women love heroes and men in power (see the story of St Kevin throwing the woman off the hillside at Glendalough . . . she wouldn’t leave him alone). The article I wrote was after seeing the same patterns coming up in research. I went with the stories and theories I read the most and ended up with what I published. 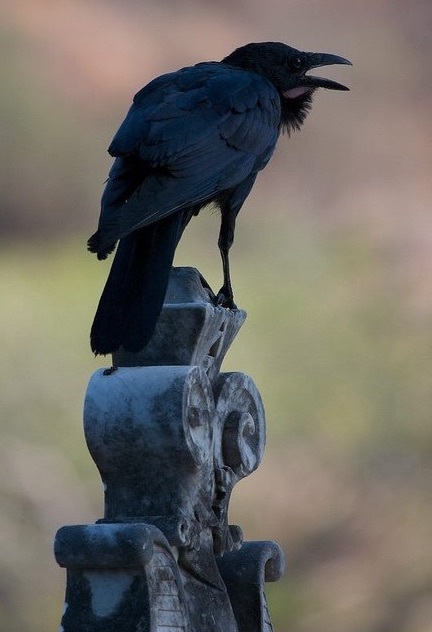 What was a new revelation for me when I was researching was about Boa, the crow. We’ve actually been to her island in the North. There’s a very old graveyard there with some ancient hand carved effigies. The article linked to that page. Anyway, it was a neat story connection between two legendary figures. The funny thing about cú is that the word ‘madra’ also means dog. That’s what I meant by nothing being cut and dried in the Irish language. It’s possible cú is the ancient word for dog or hound, in today’s context, it’s mainly used for hound. So a hound dog is ‘madra cú.’ Or just madra or just cú. I’ve never heard any other name using cú other than Cú Chulainn. Coinneach is the Irish for Kenny. You don’t see it as a first name much. Usually only a last name. Thnks for your interest, keli, and the reblog! He fascinates me, because I write my own “Celtic heroes” (even a few with Wolfhounds) and think of him often!